The Mini Feet replace the aluminium spikes on Classic, Scout and Aries models. 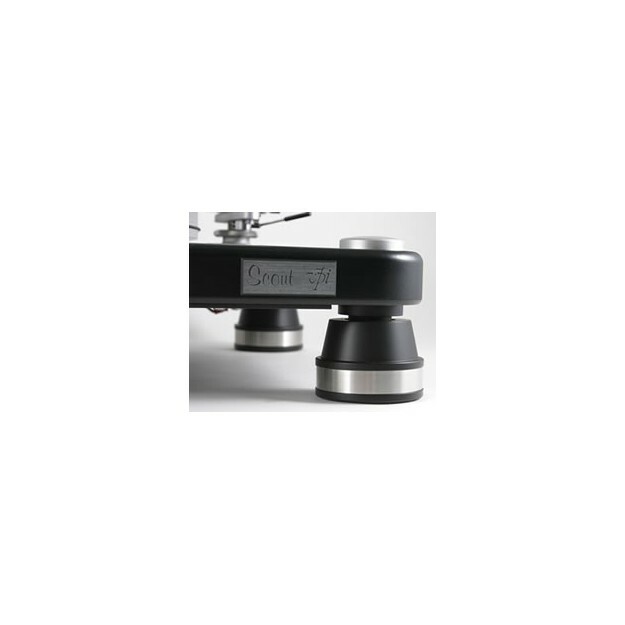 Their weight (450 g/unit) and their design contribute to improving the damping of the turntable. 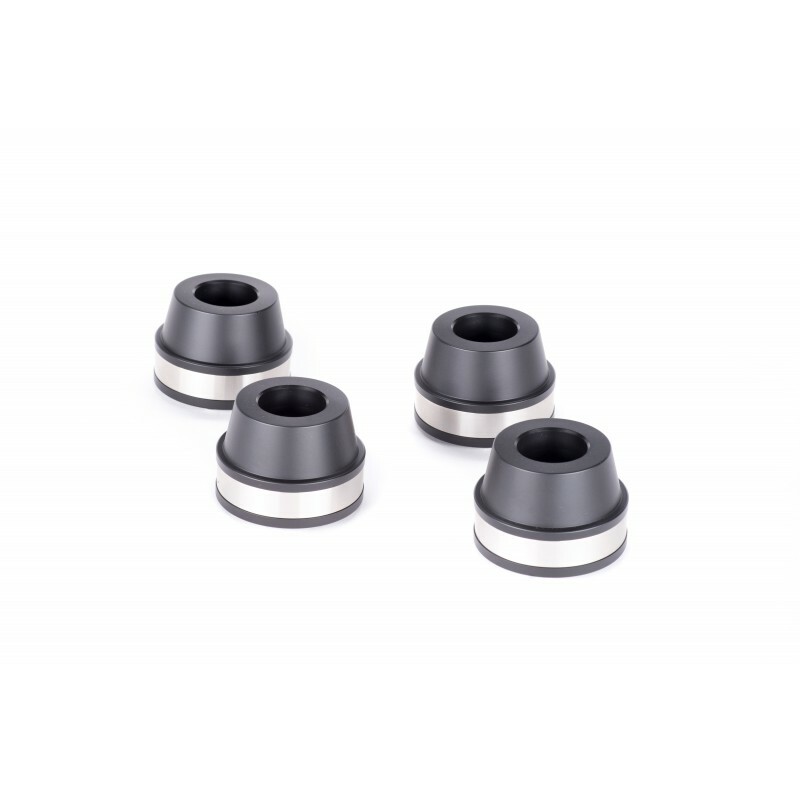 They are built in a Delrin/steel composite sandwich like the famous plinth of the also famous HR-X. Their base is supported by three microballs that minimise the point of contact with the support, therefore minimising vibration. This solution significantly reduces background noise and delivers a better definition. The bass is more precise and tighter. The overall sonic performance is clearer and natural and the sound stage is a lot wider and precise. 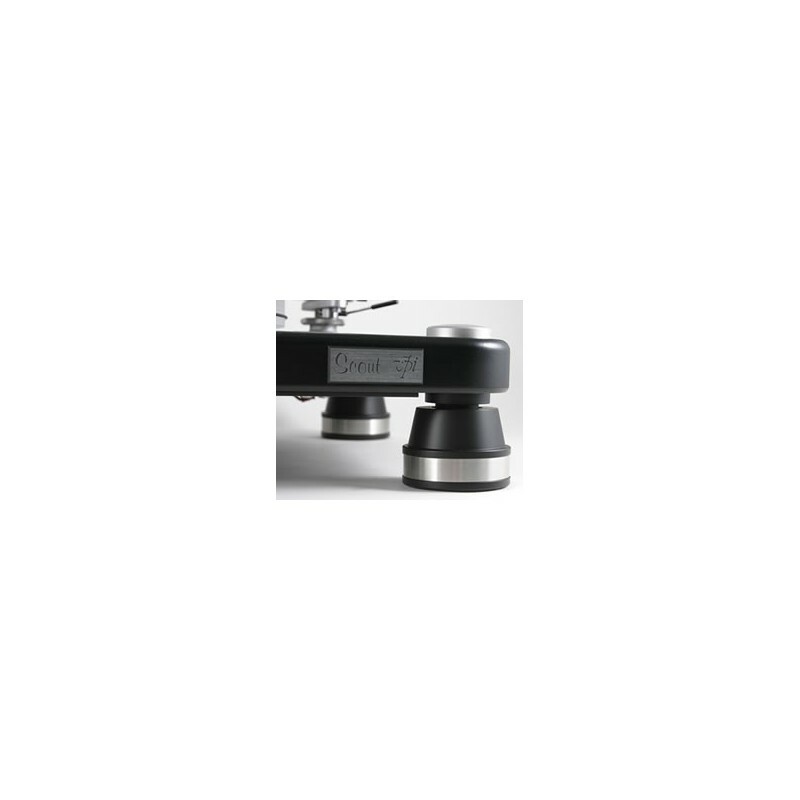 One of the best upgrades available for your VPI and not the most expensive… We highly recommend it!